Jason Holmes’ time as a Saint will continue in 2017 after signing a one-year deal at the end of last season. He also earned permanent status on the team’s senior squad since AFL rules state that players must be elevated or delisted after three years on a rookie list. His status, however, appears to be up in the air. The ruckman from Chicago, Illinois, USA was not in the lineup for any of St. Kilda’s preseason matches with Port Adelaide, Carlton, or Sydney. One reason for the uncertainty could be that the Saints already have three pure ruckmen signed beyond 2016—Tom Hickey, Billy Longer, and Lewis Pierce. Longer and Pierce are under contract until the end of 2018, while Hickey gained attention after a solid campaign last year. The VFL's Northern Blues today confirmed that American Alex Aurrichio has departed the club and joined Sydney University in the NEAFL. The statement from the Blues said "Aurrichio arrived at the club at the end of the 2014 season from the New York Magpies, making great strides in his two years culminating in a leadership group position last year." “Alex was such a popular player for two years, everyone really respected him and admired him for his efforts — he was a consummate team man. He goes with our blessing to Sydney University in the NEAFL… our loss is their gain,” Northern Blues GM Garry O’Sullivan said. We welcome our newest writer Joe Woodyard to the site. Joe is based in the United States in the state of Georgia. We hope he will become a long term correspondent for us. His footy interests lie with the history of the AFL, it's stories, and the on-field play during the regular season. I like that AFL clubs do a good job of remembering their roots and telling their entire story, even if the memories aren’t as pleasant. St. Kilda matches don’t make it to the US, at least not through my cable TV package, so I’ve been watching a season 2016 tilt with Melbourne. On the back of the Saints uniforms is an “EST. 1873,” or established in 1873, which alludes to the first year of their existence. They’ve never relocated and granted, the majority of their footy hasn’t been of the winning type, but remembering your history and knowing where you’ve come from are both good things. 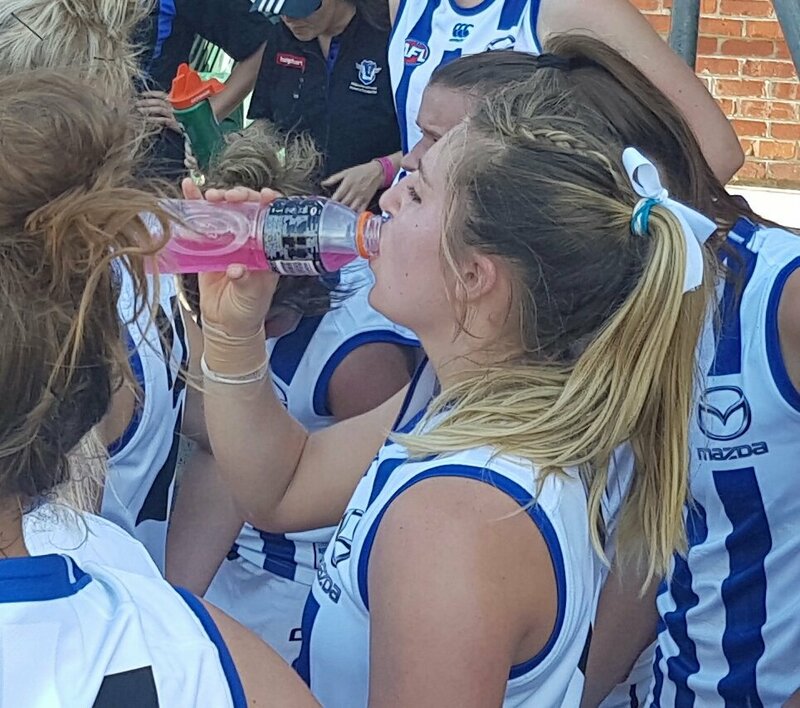 North Melbourne Football Club launched their women's team at Arden St yesterday. The team was made up of ten Tasmanian women and the balance made up of players from Melbourne University Womens Football Club (also known as the MUGARS). It is an important step to what the club hopes will eventually be an AFL Women's league team. One of those Melbourne Uni women was Katie Klatt (#19 in the picture below). Katie has come across to Melbourne in late 2016 after taking part in the AFL's Talent Identification Combine in Sydney and playing in the women's exhibition match in Sydney on the GWS team. Prior to that Katie played with the Sacramento Suns in the USAFL and also represented the US against Canada at the 49th Parallel Cup. 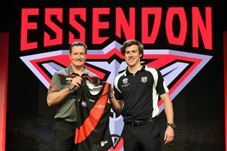 Andrew McGrath has been named the number one draft pick at tonight’s NAB AFL Draft, and in one of a number of quirks for the night, McGrath was born in Canada. He still holds Canadian citizenship and even speaks with a slight Canadian accent when conversing with Canadian friends and family. The Bombers’ newest addition, and first ever number one draft selection, was born in Mississauga, near Toronto, and moved with his father’s new job to Australia when he was five. He took up footy in Melbourne largely because most other boys at school did also. The rest, as they say, is history. Canada has proudly watched the career of Sydney Swans’ premiership ruckman, Mike Pyke, from a distance. But now they can claim a potential superstar, with McGrath effectively holding the honour now of the best young player in Australia, drafted as the first selection nationally. Tom Morris from Fox Sports reports that Essendon will be looking closely at gambling on an untried American footballer as a Category B rookie, and could know very soon as they prepare for their selections at this week’s national draft. It would be one of the first times Essendon has travelled down the American road for potential recruits, hoping they can find another Jason Holmes. ESSENDON is poised to take a punt on little known American football player Travis Wilson. Wilson, who was a quarterback with scrambling ability for the University of Utah Utes in the US college system for four years, has attracted interest from the Bombers despite having never travelled to Australia, let alone Melbourne. 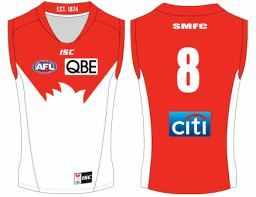 AFL Canada yesterday announced they will be sending their men's and women's development teams to Europe in 2017. The women's development team the Midnight Suns competed in the 2014 International Cup alongside their official team the Northern Lights. But 2017 will see them compete against the Irish Banshees and the Great Britain Swans who will both be warming up for IC17. 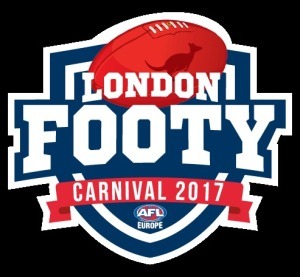 A fourth team made up of the best players from the four AFL London women's clubs will also compete. The men's development team has previously only played matches against the USA as part of the 49th Parallel Cup in the past. But they will play for the first time outside North America against the Irish Warriors, the Great Britain Bulldogs and a fourth team yet to be named. Games are set to be played on the 19th-21st of May 2017; with games being played on the Friday night, Saturday and Sunday. It is a welcome push for more international footy matches outside the International Cup tournament. The USAFL have indicated they will send a team to Europe in 2018 and Great Britain have indicated they may play in Canada in 2018. 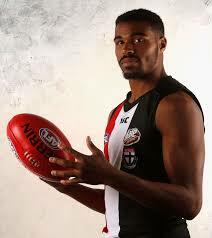 Jason Holmes’ AFL dream is set to continue with the Illinois-born big man offered a one-year contract with the club. Holmes was recruited as St Kilda’s international selection with pick No. 36 at the 2014 Rookie Draft and was the first born and raised American to make an AFL debut in Round 21, 2015. He is also the first American to play in two AFL seasons. Elevated in Round 9 this year, Holmes has earnt a permanent spot on the senior list after stepping up for the last two games of the 2016 season in Tom Hickey’s absence.